Hey everyone, what should we do on this radically retro day? Should we go to the mall, or maybe to the roller disco? 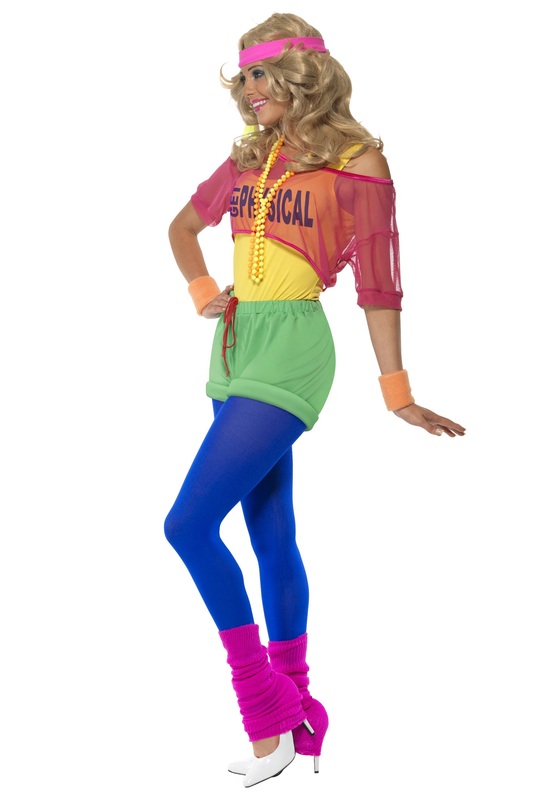 Whatever happens, you'll be ready for a bitchin' time in this 80s Let's Get Physical Costume! Few eras of fashion have been able to pull off insanely bright colors, artificial materials, and clashing design styles as well as the 1980s. In fact, if you can think of another decade that has been as "80s-riffic" as the 80s, please let us know, because we have got to see it. The 80s were all about nylon, spandex, plastic jewelry, and colors that you could only see in nature if you had eaten some mysterious mushrooms, or maybe whacked your head recently. But, it was all in good fun, and one lesson 80s music taught that us is that if there's anything girls just want to have, it's fun. Well, if that's true, then you're in luck, because this sick workout costume is mega-fun! It comes with a leotard that has "Get Physical" printed on it, which is totally wicked. It also comes with some cool shorts and a mesh crop top to wear over it, so you don't look like you're all grody from coming straight from aerobics class. Slip into a pair of brightly colored tights and leg warmers (different colors, obviously! 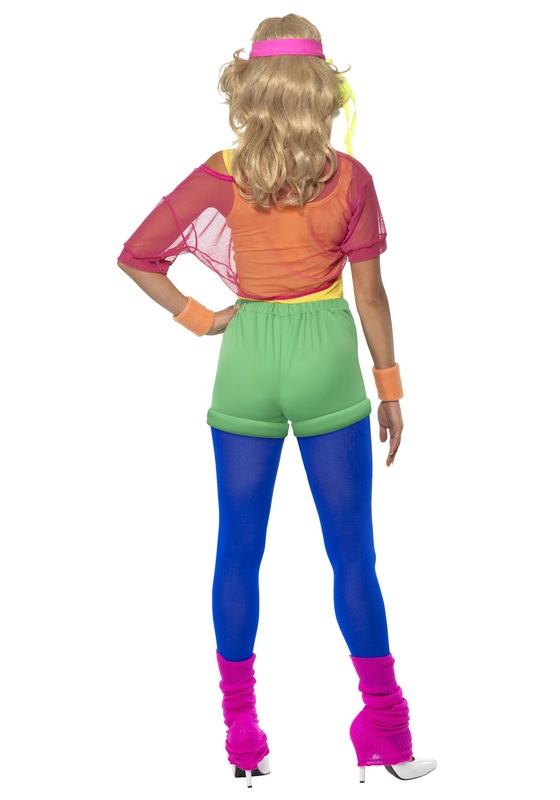 ), and some tennis shoes, and you'll be ready for a retro costume party. 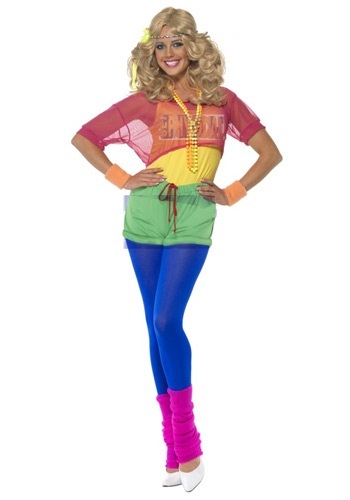 Or, just wear it to sweat it out while dancing to some killer 80s tunes!